The Great American Comedy Festival was created in 2008 to pay tribute to the legacy of Norfolk’s favorite son, Johnny Carson. He was born Oct. 23, 1925, in Corning, Iowa, to Homer “Kit” and Ruth Carson. But in 1933, the family moved to Norfolk. Six years later, Carson began his life as an entertainer, and he never stopped. He graduated from Norfolk High School in 1943, and the University of Nebraska-Lincoln in 1949. By 1962, he took over as host of NBC’s “The Tonight Show” and continued entertaining television audiences for 30 years. In 1981, he returned to Norfolk to tape “Johnny Goes Home,” a documentary on his life. In 1992, he retired from “The Tonight Show.” He died on Jan. 23, 2005. When Norfolk’s previous community festival ended in 2006, an editorial in the Norfolk Daily News suggested creating a new festival in honor of Carson’s memory. With that, the Great American Comedy Festival was born. Eighteen months of planning led to the inaugural festival in June 2008. It’s been a mid-June tradition ever since, growing each year in stature and scope. 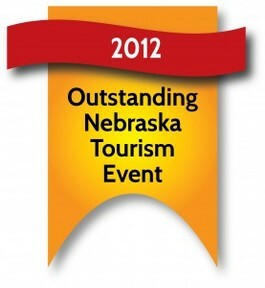 In 2012, the festival was named Nebraska’s outstanding tourism event among the state’s larger cities.